THE vision for a new town by Aviemore which could eventually become home to up to 3500 people has been shared with MSPs at Holyrood. 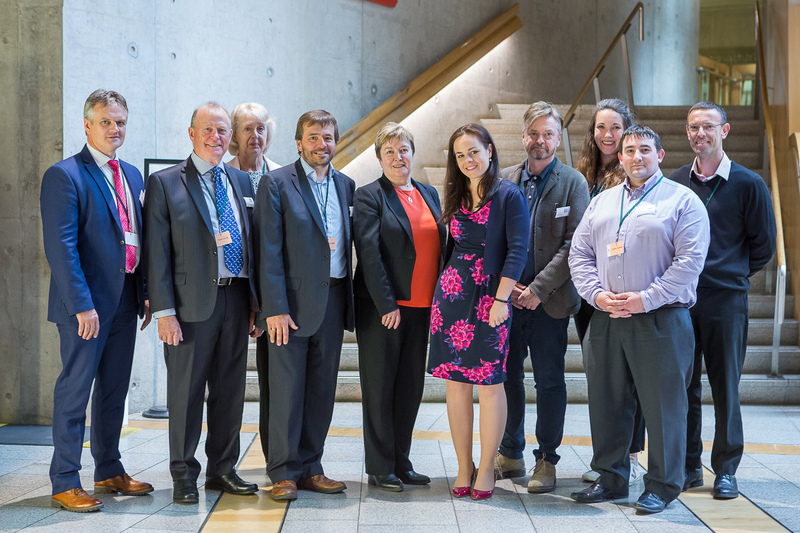 Badenoch MSP Kate Forbes (SNP) hosted the event on An Camas Mòr for the Cairngorms Business Partnership, Aviemore Community Council and Aviemore Enterprise Company at the Scottish Parliament on Thursday. The original date had been scheduled for the end of February but fell victim to the Beast from the East. The community briefing then had been due to conclude four days of events led by Gehl People, architects for An Camas Mòr. The Holyrood event was attended by MSPs from the SNP, Scottish Labour and the Scottish Conservatives. They heard from the three groups on the urgent need for homes for people who work in Aviemore and the wider strath to have a “fair opportunity to buy rent or build a home they can afford”. Mr Sim presented a vision for the community at An Camas Mor and this was followed by a question and answer session for the assembled MSPs. The architect said it was great to finally present the findings of their engagement programme to Holyrood. Mr Sim said: “In February we were fortunate to engage with the community from five year olds to retired people, business owners and employees and we have found a community passionate about where they live and wanting to create something fitting and sensitive to this special place. Most inspirational was our engagement with young people through the schools. They had some fantastic ideas about how they wanted to live that we can use our international experience to bring into the project. SHAPE OF THINGS TO COME? An image of one of the community’s streets. The year 2020 is being targeted by developers for the first of up to 1500 properties on the site at Rothiemurchus.